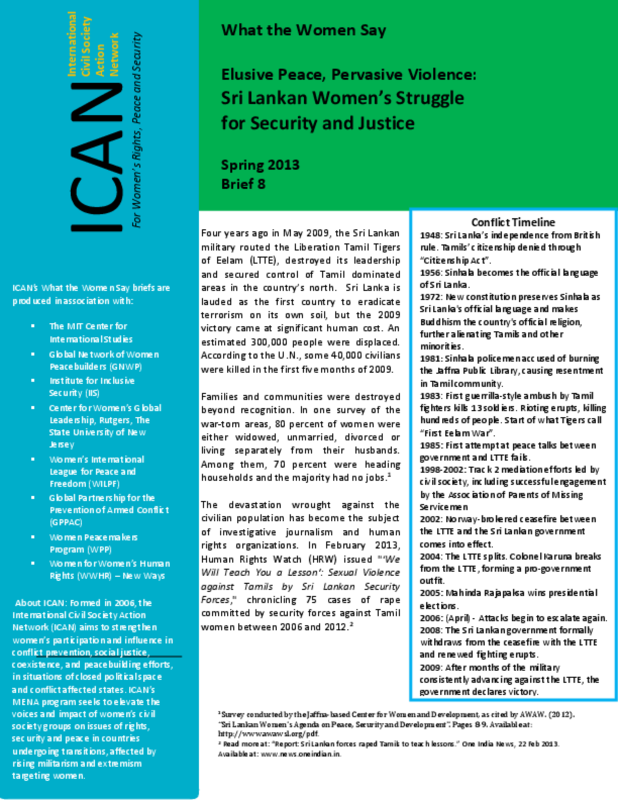 The 8th brief in ICAN's "What the Women Say" series focuses on women in Sri Lanka's northern provinces in the aftermath of war. Drawing on a survey conducted in ten war-torn districts and discussions with over 450 women, it eflects on women's legal gains and their activism for peace and human rights while also highlighting the critical security, economic and social risks that many women face. Copyright 2013 by ICAN. All rights reserved.